Honored that I got to do the art for Franky Villani’s first Pro board, here’s a video below about the idea behind it and the execution of it all. Thanks Olly Barton and Alan for filming. Famous fishing cabin in Green Valley Lake, California. Painted and drawn by a number of artists over the years, famous watercolor artist Robert E. Wood being one of them. Here's my rendition. I grew up reading Marvel comics, and always wanted to see a mash up of Deadpool based on the Todd McFarlane Spiderman #1 cover. I took matters into my own hands and drew this one out myself. I recently drew Shop Roadtrip in Lake Arrowhead, and awesome store that our friends own, they sell my prints and Jens ceramics. My Tribute to the incredible Frank Miller and Lynn Varley cover of the Dark Knight, mashed up with the Texas Chainsaw Massacre's Leatherface. I grew up in Lancashire, Northern England. I started Skateboarding when I was 14 and went to various art colleges in Lancashire after I finished school. I ended up going to Goldsmiths College in South London when I was 20 and completed a BA in Design Studies. After college I immersed myself in the world of Skateboarding. I worked as a sales director at Slam City Skates in London. 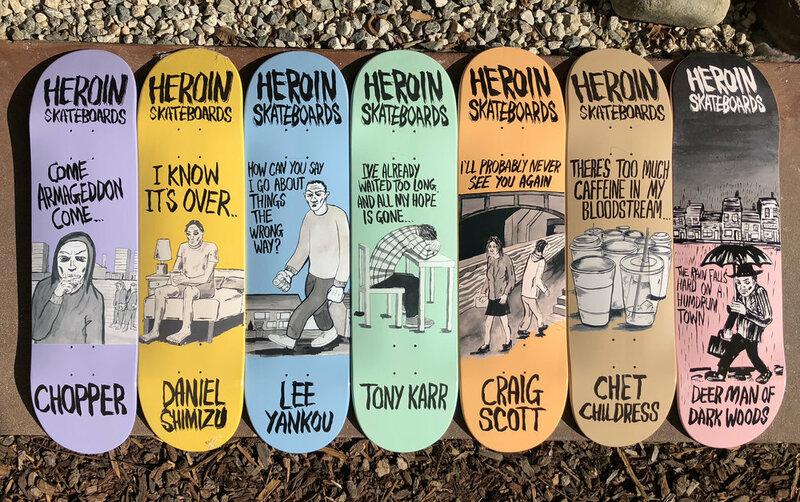 Whilst there I started my own brand, Heroin Skateboards. 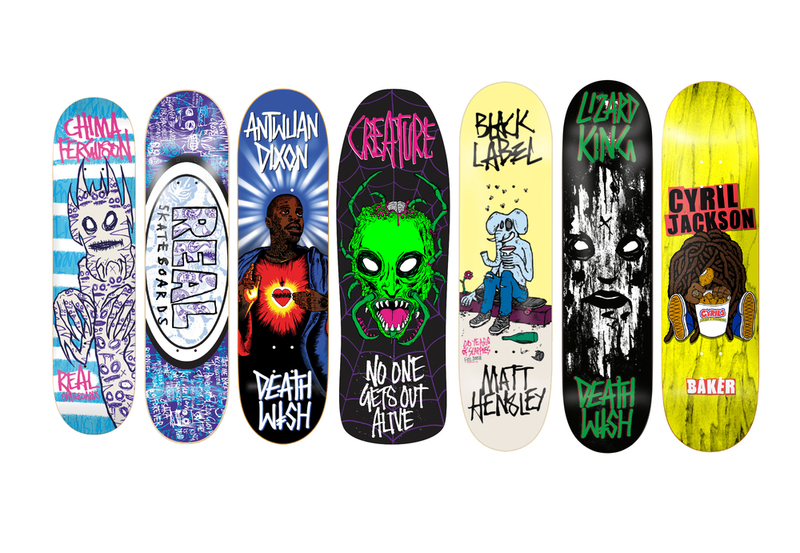 I've done artwork for companies including Toy Machine, Real, Foundation, Zero, Black Label, Creature, Baker and Deathwish. In 2003 I left Slam City and started Landscape Skateboards, in 2006 I helped to start and became the art director of Altamont Apparel. In 2011, I moved to Los Angeles and Heroin started being distributed by Baker Boys Distribution. I also started hosting a radio show called Fos FM. I've designed five collaborative shoes with Emerica footwear. I live and work in LA and am available for freelance projects.